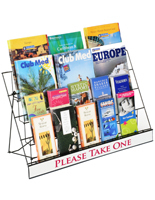 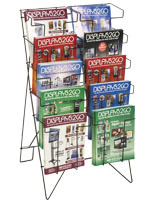 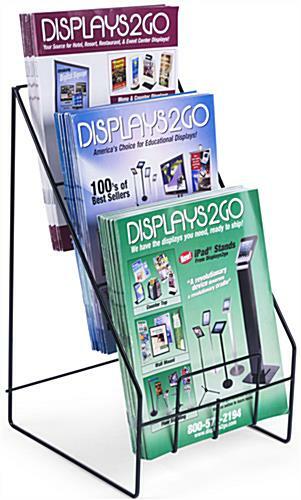 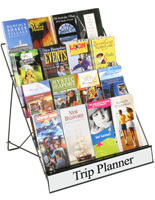 This 3 tier countertop magazine holder is a space-saving counter rack for literature, sales materials and much more. 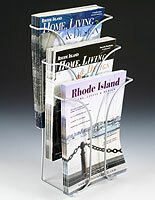 Each stepped rack is made from black-coated steel wire and will support pages up to 8.5" wide. 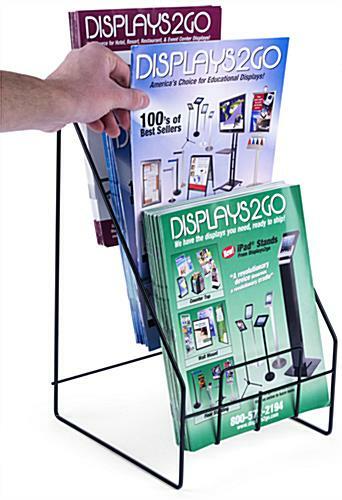 The multiple tier countertop magazine holder's small footprint and sturdy metal construction make it an ideal organizer for offices and institutions as well. 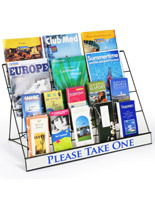 The high visibility open design is useful for displaying literature in retail environments, reading material in lobbies, and forms or takeaway flyers in professional business offices. 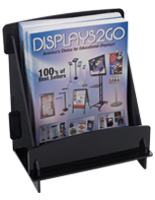 The black finish countertop magazine holder is sized to fit easily on desks, counters or tabletops. 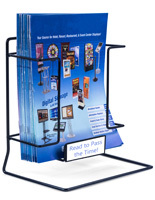 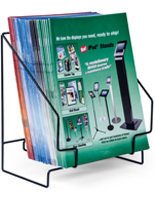 This type of easily portable counter stand for literature makes a great accessory for trade shows or other offsite events. 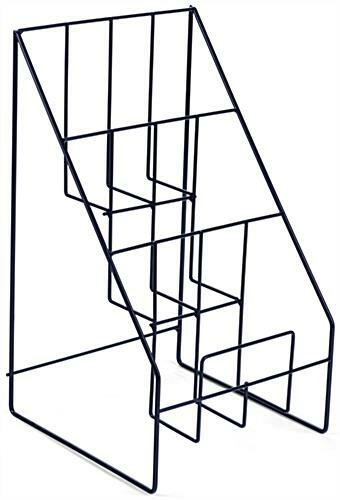 8.3" x 15.8" x 9.3"
8.6" x 7.0" x 2.8"